We had quite a week at Welch! A huge thank you to all of the wonderful volunteers who made our Friendship Celebrations so much fun for our White Tigers! And a special thank you to Tonia Brock for putting on such a rocking dance on Friday night! We are so fortunate to have such an amazing community who creates so many incredible opportunities for our students! It is a GREAT day to be a Welch White Tiger! 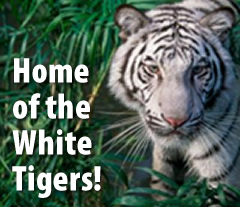 Thank you for your support and for helping our White Tigers. Choose KIND! In addition, we will be starting each day with a Kindness Challenge for students, and Welch staff will be giving student Kindness hearts for displaying acts of kindness. Students will get to display their hearts in the MPR and we will be randomly selecting students each day to win a small prize to recognize their kindness. 2019-2020 Kindergarteners… If you have a child who will be five (5) years old on or before September 1, 2019, he or she is eligible to enroll in kindergarten for the 2019-20 school year. You are invited and encouraged to attend a Kindergarten Preview Night on April 24, 2019 at 6:00PM. At this meeting, we will provide a detailed look at what the kindergarten experience will offer. You will also be provided with more details related to registration requirements and deadlines. This night is designed for parents/guardians AND incoming kindergarten students only. We ask that siblings do not attend this event. We need the Kindergarten Information Sheet Welch completed prior to orientation so that we can begin planning kindergarten enrollment for the upcoming school year. This information will be used to form a kindergarten mailing list. Once on the mailing list, additional information will be mailed to eligible kindergarten parents. Information regarding registration will be available after April. Free English and Citizenship Classes… Please see attached flyer for information about FREE English and Citizenship classes offered by the College of Dupage. Learn reading, writing, listening and speaking skills, improve career opportunities, prepare for college, and become more active in your community!